When changing your hair color, you should take into consideration natural DIY methods. Not only are they much safer on the curl, but they can be an inexpensive option if going to a salon is not in the budget. Due to the fact that you may already have some natural red hues under that dark brown color, these DIY methods can enhance what may be hiding within your locks. Henna is a DIY method that is known to enhance natural dark colored hair and emit more shine. Yes, the idea of henna for some is "Ugh! what a mess!” But using it is actually easier than you think. Henna is great for bringing about a reddish hue. The longer you leave it in, the more color and strength it will add to your hair length and follicles. In the henna aftermath there is little to no damage, and it will fade naturally--without that dreaded brassy finish. look in your local health food co-op, market or Whole Foods store and be sure to purchase 100% pure body art quality (BAQ) henna. Because of its high protein contents, you may find that adding some conditioner or a carrier like unrefined coconut or olive oil helps soften your waves. Add just a dash of paprika for a brighter red tint or even green tea for vibrancy. The easiest way to apply henna is with your hands covered with rubber gloves and a plastic applicator bottle. Leave it on for anywhere from 1 to 8 hours--you may even sleep with it in and rinse in the am. The longer the henna is in your hair, the more vitality it gives your hair. Remember, never mix henna in a metal bowl or with metal utensils since metals can bring about a reaction. Be sure to cover everything. Be sure to rinse with water and conditioner then deep condition afterwards and style as usual. Read more henna tips in our recent article here. In order to enhance the red undertones in your waves, add 3 to 4 tablespoons of a carrier oil to 1/2 cup of boiling water, and steep. 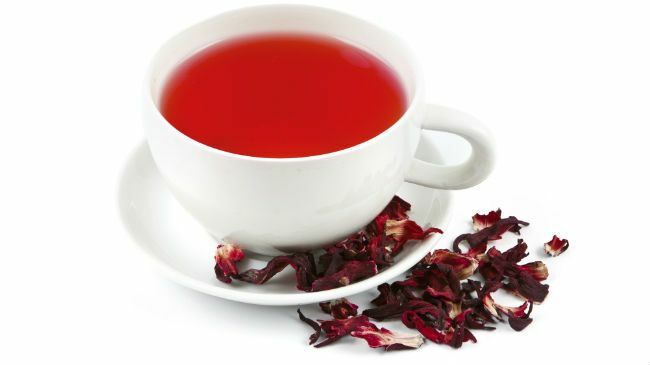 Add either hibiscus, red clover, or chamomile to the water and strain after steeping for 30 minutes. Apply the herbal hot oil treatment and 40 minutes later, rinse out for a natural red hue. Read more on which herbal rinse is better for you here. Have you gone from brown to red? Was your hair damaged?